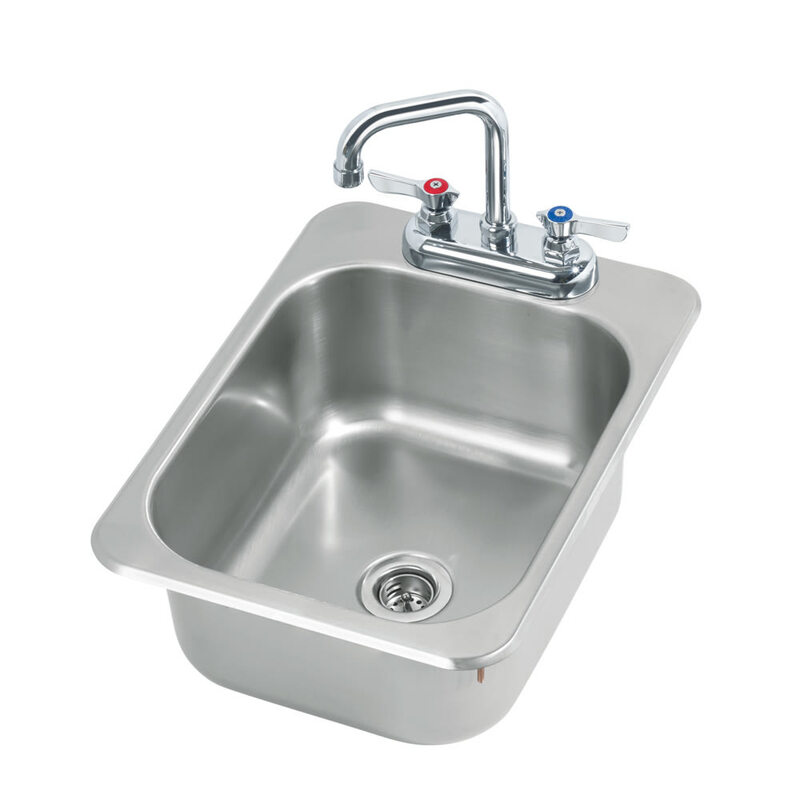 The Krowne HS-1317 drop-in hand sink has a deep drawn bowl with a deck-mounted faucet. It is made of a rust-resistant stainless steel to provide durability and simplify cleaning. The seams are welded together for additional strength and polished to create a smooth finish. This Krowne HS-1317 drop-in hand sink fits in an 115⁄8-inch-by-155⁄8-inch cutout. Our sinks buyers' guide has in-depth information on the different types of commercial sinks.